PhotographyandCinema.com has just added a pair of 8" Industry Standard 15mm Extension rails (rods) for $28.99 + Free shipping (domestic USA). 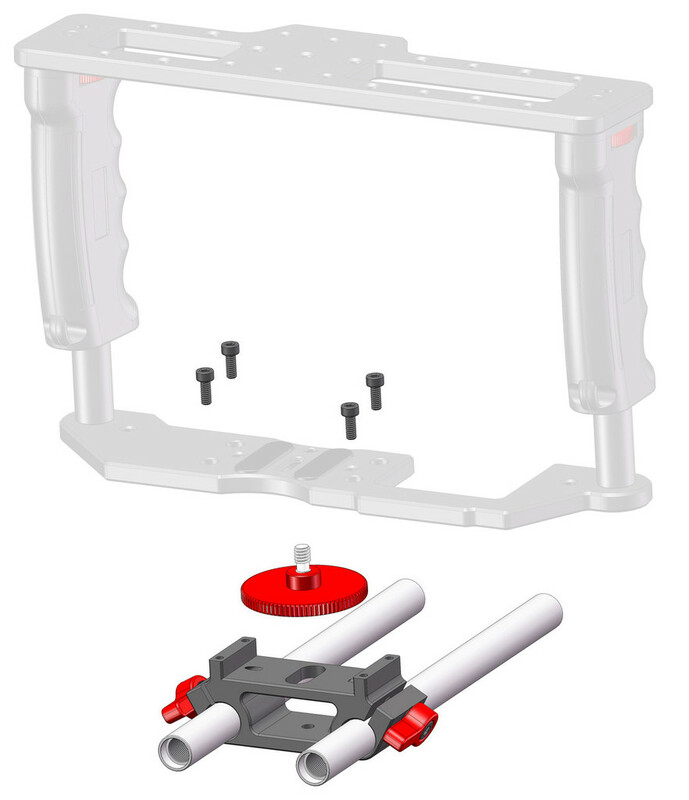 The rails have both Male and Female threads so that they can be assembled to virtually any length for supporting additional accessories, longer lenses, or if you need the extra room for Matte boxes. 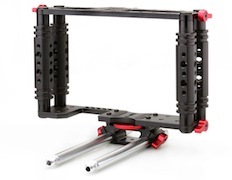 These will match up perfectly to your Gearbox GB-2 or Prime Shoulder Rig. There are plenty of options for rails on the market, and I advise you to shop around, but for a pair of 8" 15mm rails with both Male and Female threads these prices are pretty darn good. Check it out at PhotographyandCinema.com (click here). Posted in dslr rig, dslr video, follow focus, matte box. 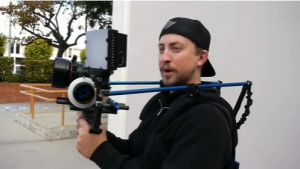 Tags: 15mm extension rods, 15mm rails, 15mm Rods, DSLR Cage, dslr rig, GearBox, photographyandcinema, prime shoulder rig on December 14, 2012 by Emm. Disclaimer: I help to design products for PhotographyandCinema.com. The article below is information about the new P&C Prime Video Rig. 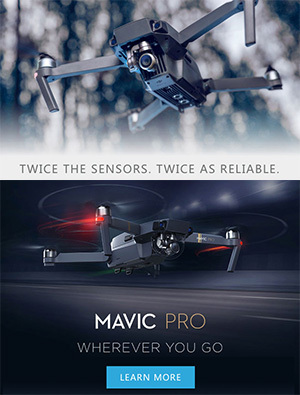 There are many other great Video Rigs available within articles of this blog that you may also want to consider. 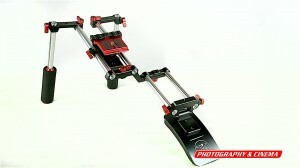 PhotographyandCinema.com adds another affordable product for budget video shooters. 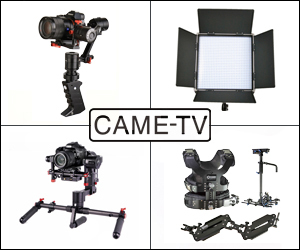 The new Prime Video Shoulder Rig Kit contains a combination of parts that will allow supporting basic camera setups to more advanced rig configurations that require mounting additional accessories. 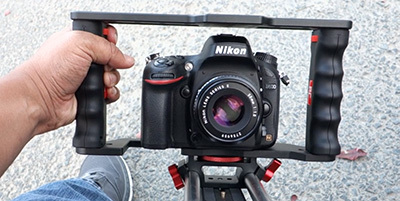 The Prime Video Shoulder Rig Kit includes a special Hybrid Shoulder / Chest Pad that allows the rig to be used on the shoulder or off the shoulder as a gun-stock style shooter rig. The Prime Rig Kit (when purchased from PhotographyandCinema.com) also includes (2) P&C Swiss Rods for flexible mounting of additional accessories and (1) NEW 'Tough' Stainless Steel Friction Arm from Kamerar.com. These are new friction arms that are more robust than other arms on the market. More information about the new Prime Video Rig Kit can be found at http://PhotographyandCinema.com (here). 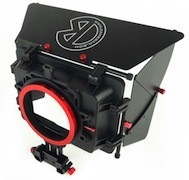 PhotographyandCinema.com is now distributing Kamerar brand products. 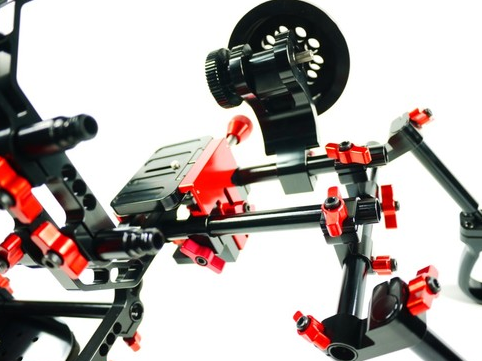 The P&C Prime Shoulder Rig is also available through Kamerar.com without a set of Swiss Rods or 7" Friction Arm and sells for $30 dollars cheaper + FREE WORLDWIDE SHIPPING. 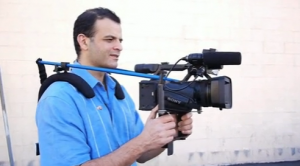 Posted in dslr rig, dslr stabilizer, Equipment Reviews, photographyandcinema. 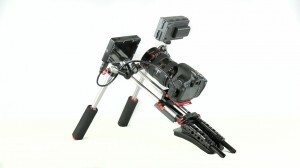 Tags: 15mm Rig Kit, dslr rig, P&C Shoulder Rig, photographyandcinema, Prime Video Kit on November 6, 2012 by Emm. Wanting to test out video features on the new Nikon D600, I needed to check if it fits in the P&C GearBox so that I can start mounting the accessories. It's short enough to fit in the GearBox without the extension adapters, and you still have full access to media and batteries. Posted in Nikon. 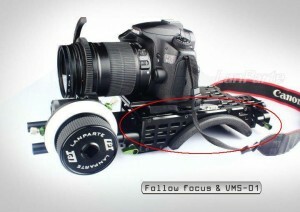 Tags: dslr rig, DSLR Video Cage, GearBox, Nikon D600 on September 25, 2012 by Emm. Vimeo member LJ Lee gives us a look at the new Lanparte Shoulder pad that integrates a quick release camera mounting baseplate [Thanks LJ]. The design is drilled out to shave off some weight and allows you to carry the camera over the shoulder instead of further out over your arms. 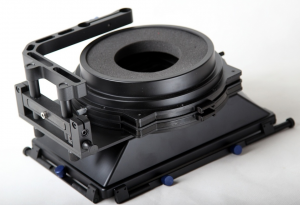 Essentially you'll have a more balanced and stable rig, but you have to configure this to use an EVF or LCD monitor. You can already find the new Lanparte shoulder pad via eBay (Click Here). 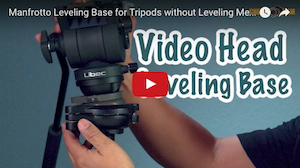 Posted in dslr rig, Equipment Reviews. 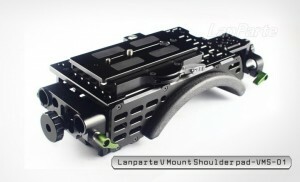 Tags: dslr rig, Lanparte, quick release, shoulder mount, shoulder pad on September 22, 2012 by Emm. Posted in dslr rig, photographyandcinema, Videography Gadgets. Tags: 15mm rails, dslr rig, P&C GearBox, photographyandcinema on August 14, 2012 by Emm. 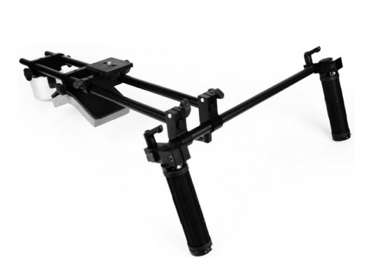 Express35 knocks $100 dollars off the Inline Shoulder Rig today. The inline rig gives you room to work with a monitor or EVF off to the side while keeping the majority of the weight closer to your shoulder instead of way out in front of you (which can wear out your arms). 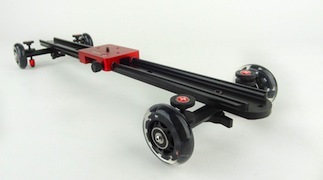 The 8" rods on this rig will give you room to work with a Follow Focus or Matte Box. I believe there may be some discounts available for the optional top handle and tripod mount if you're looking to build up a bit. [Thanks Chris] Find more information about Express35 products at http://express35.com. Posted in dslr rig, dslr stabilizer. 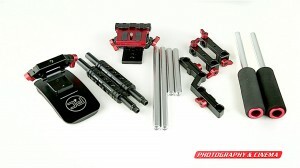 Tags: dslr rig, evf, express35, Inline RIg, LCD monitor, Shoulder Rig on April 24, 2012 by Emm. Odd looking camera support sent in by LJ [Thanks LJ]. The Ready Rig Looks functional, maybe even comfortable. 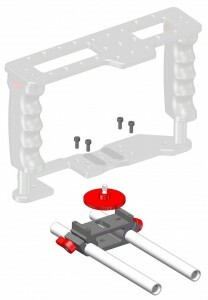 A pair of rods attached to a spring loaded back support, offers total hands free operation of the camera. The camera rests on a front platform that has tilt and rotate abilities. 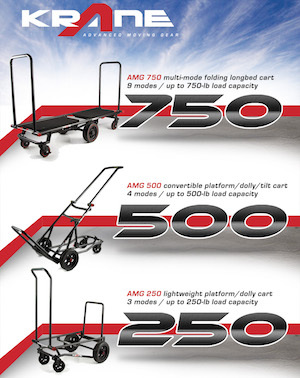 Could be tricky getting in and out of something like this if you need to move quick, and the basic package will already run you $800 dollars. There's some additional videos at the Alba Camera Support website. What's your take on the Ready Rig? 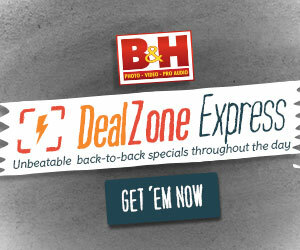 Posted in DIY Equipment, dslr stabilizer, Random, Videography Gadgets. 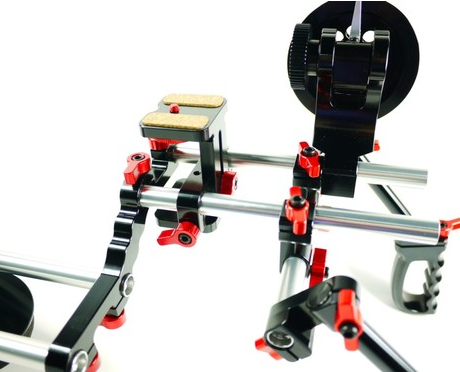 Tags: alba camera support, camera rig, DIY video stabilizer, dslr rig, Ready Rig on April 15, 2012 by Emm. Above is a Gini iFocus Follow Focus I use, and have a video review about it (here). One of the shortcomings of this design is that the gear is not reversible, so it could be tricky trying to align it with short lenses, or sometimes you can't get it far enough on short 15mm rods. The marking indicator is also at a fixed position so you have to be able to see this in use. Outside of those small issues, the iFollow Focus is one heavy well crafted solid unit, with almost no backlash. 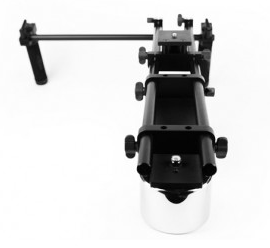 Recently some images for Gini Rigs on auction show a slightly modified Follow Focus with a shaft (above). This clearly shows that the gear can now be removed from one side and installed on the opposite, making it a reversible Follow Focus. One thing I can't seem to locate though is if there is a change with the marking indicator. Aside from the new shaft poking out the opposite side, it looks almost exactly like my iFocus. So the question is does the shaft design have more / less backlash or maybe it's the same? There doesn't seem to be an official name for this new FF, and he still has the original iFocus available on many bundles. If you're shopping, look carefully when choosing a rig that comes with an FF. If you guys happen to get one of the new ones, would love to see more about the differences. 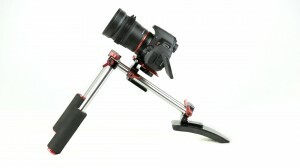 Posted in dslr follow focus, dslr rig, dslr stabilizer, Equipment Reviews, follow focus, Gini Rig. 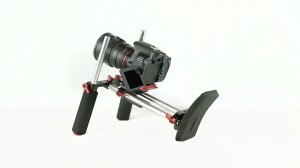 Tags: dslr rig, Gini Follow Focus, Gini iFocus, Gini Rig on April 2, 2012 by Emm. A few months ago, Vimeo member HDSLR NOW showed a video review on the Trusmt D100 matte box (seen here), and this time Joel is showing features of the new Trusmt D140. 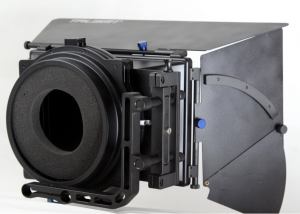 It's a larger sized Matte Box but provides many more features over the D100 that some people might require. There's not much more I need to say as the video is pretty detailed in all the specs. [Thanks Joel] Trusmt video gear can be found on it's eBay store (click here). Posted in dslr rig, Equipment Reviews, TrusMT, TrustMT. Tags: dslr rig, matte box, TrusMT, video matte box on April 1, 2012 by Emm.